Cardiff’s population makes up around ten percent of Wales overall population. Although Cardiff’s climate is generally mild, this brings weather which is often cloudy, wet and windy. Wet weather provides a safe haven for moss and algae to grow freely. Once black streaks start appearing this is a sure sign that these are reproducing. Once this problem surfaces it will not resolve itself on its own as the algae are nitrogen fixed and do not require any nutrition to grow. 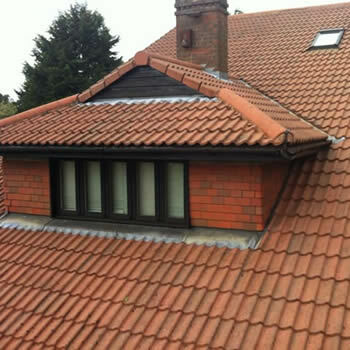 We have the solution we provide a professional roof cleaning service in Cardiff. 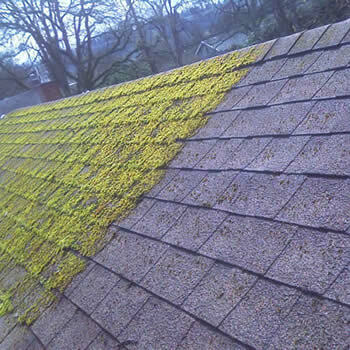 Certain types of moss and algae if left untreated will eventually remove the protective layer and damage your roof. 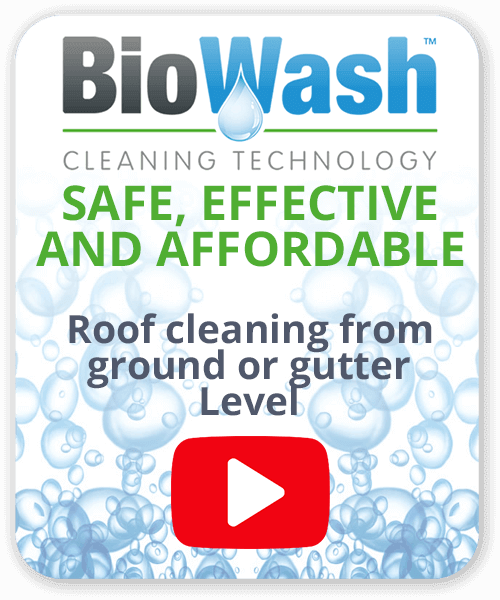 If you see these types of symptoms contact a local BioWash™ Agent today for a free site survey and quotation. 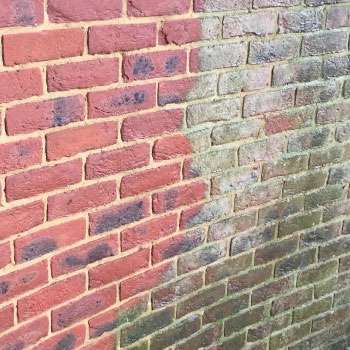 Soft washing is a relatively new technology and a lot safer than pressure washing or other manual techniques as the whole operation can be carried out from below gutter level. 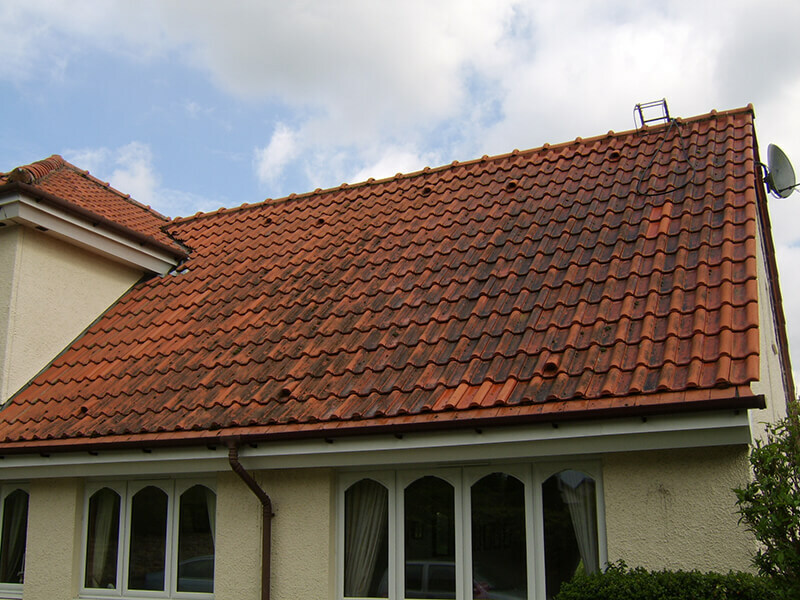 Traditional methods involve openly stepping on the roof to remove the moss, but this can damage tiles particularly fragile slate or clay tiles. 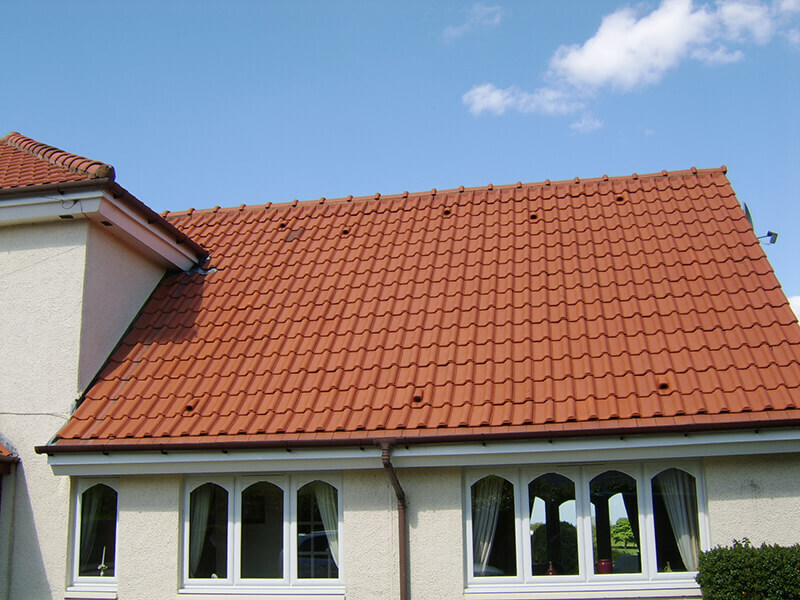 Depending on the treatment desired, you can have the assurance that only high-grade products will be used to clean and protect your roof. 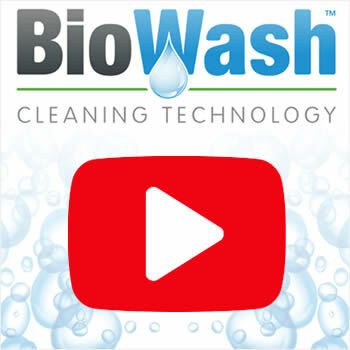 Many homeowners are often surprised at the range of services a registered Biowash™ agent has to offer – customers can also benefit from gutter, render, wall, driveway, and patio cleaning just to name a few. 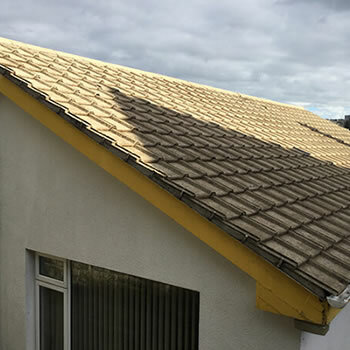 If you live in the Cardiff area and wish to improve the appearance and value of your home today call 0800 849 9498 or contact us online.